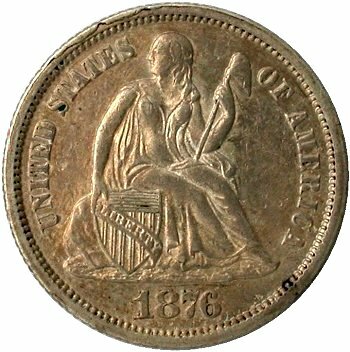 Comments: On Obverse 20 minor repunching is visible on the 1 and 6 digits. 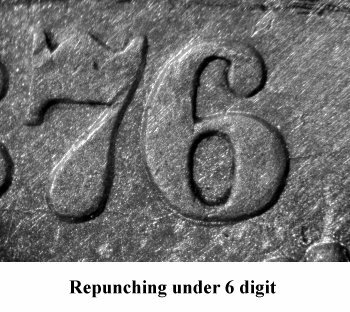 Repunching is seen below the 6 digit and above the left and right base of the 1 digit. 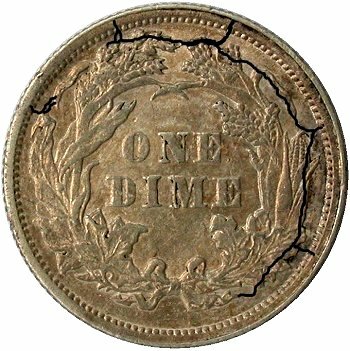 A faint die crack is noted connecting the base of the digits. 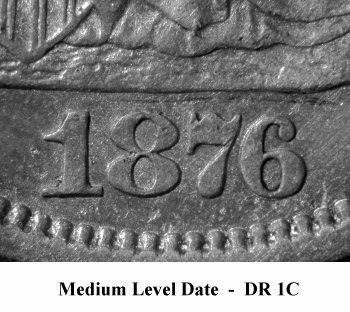 Date digits are from a small knob 6 logotype. 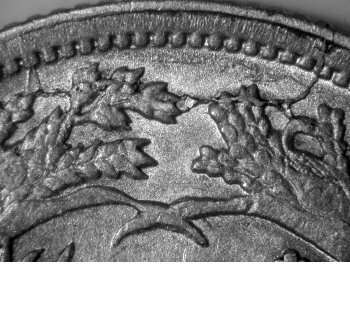 Rim cuds are evident between 11:00 to 12:00. Reverse S is cracked with worst case area at 12:00. 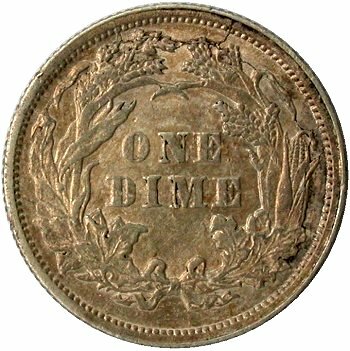 The 12:00 die crack pattern could result in a cud during an advanced die state. A full reverve die crack map is shown above.